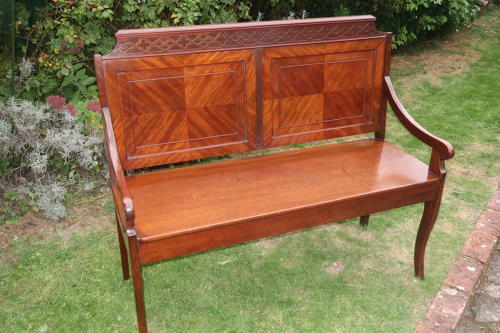 An elegant hall seat or bench in very well coloured mahogany, with fielded panels and blind fretwork, in excellent condition . Perfect for getting those muddy boots off! Comes with an upholstered cushion.